Keeping your children amused over the long summer holidays doesn’t have to be expensive. The Printing Report shares three simple but fun paper craft activities ideal for keeping your children entertained this summer. Each requires just one sheet of A4 paper. This oh-so-easy paper project requires just one A4 sheet of paper. Use coloured paper – or decorate your paper first with paints, marker pens or glitter. If you have decorative punching tools, you may like to punch a pattern along one of the long edges of your A4 sheet of paper before you begin. Fold the paper concertina style from one short edge to the other. Each fold should be around 1.5cm wide. Don’t worry too much about the width because when you get to the end, you can trim off any excess. Just keep each fold neat and even. To make a handle, simply fold around 3cm of the un-punched end back on itself and staple in place. If you wish, you can decorate the handle by covering it in tissue paper or wrapping paper raffia string around it. The simplest way to make a paper plane begins with one sheet of A4 paper. • Fold the paper in half lengthwise to make a crease down the centre, then fold the paper flat again. • Turn the top two corners of your paper in to the crease to create the pointed nose of your paper plane. • Now turn in the two folded edges you have just created, so they also run along the centre crease. • Fold the paper along the centre crease so that all the folds of paper are on the inside. 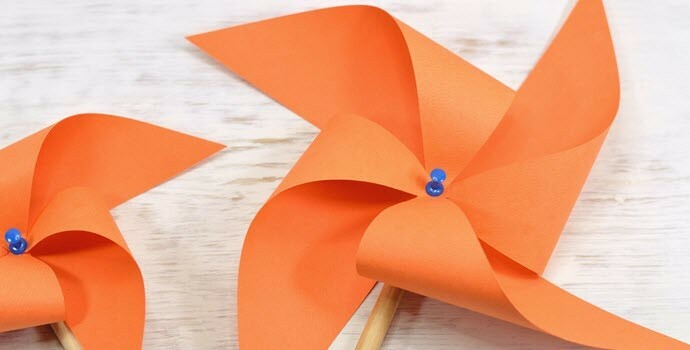 • Fold the outside edges to the centre crease to create the wings – and your paper plane is ready to fly! If you wish, try securing a paper clip to the nose as this may help your paper plane fly further. This simple origami paper boat is a perfect summer craft activity – once you’ve made your paper boat, why not take it to your favourite stream and play a souped-up game of Pooh-sticks? 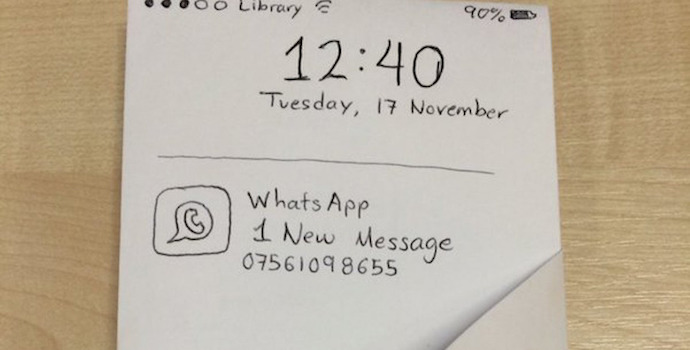 All you need is an A4 sheet of paper. Fold the paper in half widthways, so the shortest edges meet. Fold the paper in half widthways again to make a crease, then unfold so only the first fold remains. Fold the top corners of the folded paper into the centre crease you just created. Now, on the side facing you, fold the bottom edge upwards along the bottom edge of the turned-in corners. Turn over the paper and tuck the corners in. On the remaining bottom edge, turn the corners in to meet the corners you have just tucked in. Now turn the bottom edge up to create a triangle shape. Squeeze the folded edges to open up your triangle into a pyramid, then fold along the centre crease instead, leaving you with a flat diamond shape. Fold back the pointed ends to the opposite end of the diamond on both sides of your folded diamond. The folded edges should be on the inside, and you will be left with another, smaller triangle. Squeeze the edges of this triangle to open it into a pyramid shape and then squash the pyramid flat to create a diamond. The folds are now on the outside, so you can take hold of the outside layer at the point of the diamond and pull outwards, the paper will open out to create your paper boat.